Buying Martha's Vineyard real estate is about more than just the house you'll live in, it's also about your new community. Choosing the right surroundings is important. On the Island you will find everything from open beaches and quiet ponds, to rural farmland, busy towns, and historic buildings. Are you ready to learn more? The Vineyard is composed of six towns, each with its own unique flavor. Vineyard Haven, Oak Bluffs, and Edgartown compose the "down-island" towns. The "up-island" towns are West Tisbury, Chilmark, and Aquinnah. Click on the links below to learn more about the individual towns. 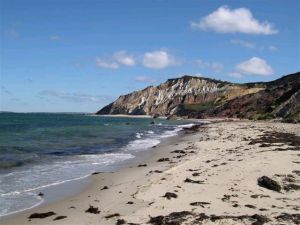 One of the up-island towns, Aquinnah is home to the breath-taking clay cliffs and beautiful beaches. Formerly known as Gay Head, Aquinnah's name change became official in 1998. 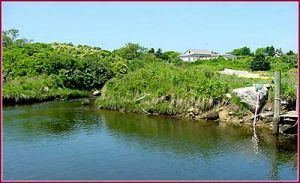 Click here for the Aquinnah town website. An up-island town with rolling hills and numerous conservation properties, Chilmark is renown for its privacy, pristine beaches and chocolates. "One of New England's most elegant communities, Edgartown was the Island's first colonial settlement and it has been the county seat since 1642. The stately white Greek Revival houses built by the whaling captains have been carefully maintained. They make the town a museum-piece community, a seaport village preserved from the early 19th century. . ."
Click here for the Edgartown website. 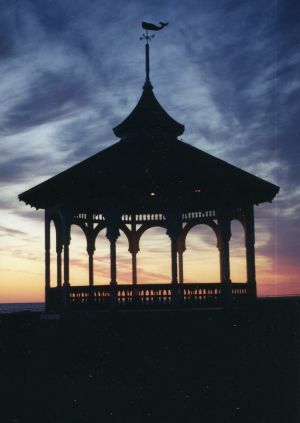 One of the three down-island towns, Oak Bluffs is known for its diversity and history. It is home of the historic Campground gingerbread cottages and Flying Horses, the oldest continuously operating carousel in the country. Its tranquil, sandy,public beaches are the top choice of people with young children. Circuit Avenue provides a multitude of restaurants, ice cream parlors, shops, and night life options. Click here for the Town of Oak Bluffs website. 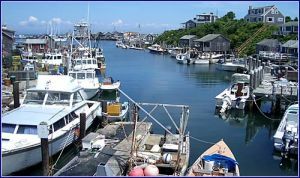 One of three down-island towns, Vineyard Haven (aka Tisbury) is primarily a year-round community known for its beautiful harbor, Main Street shopping district, and quality restaurants. 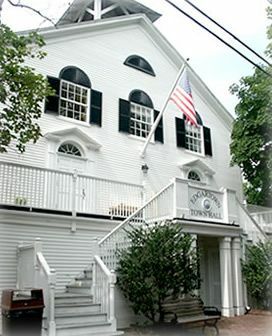 Click here for the Town of Tisbury website. "The ancestors of Wampanoag people have lived for at least 10,000 years at Aquinnah (Gay Head) and throughout the island of Noepe (Martha's Vineyard), pursuing a traditional economy based on fishing and agriculture. . .The Wampanoag Tribe of Gay Head (Aquinnah) became a federally acknowledged tribe in 1987 through a Congressional Act (Wampanoag Tribe of Gay Head, Inc. Indian Claims Settlement Act - PL 100-95)." Click here for the Wampanoag Tribe of Gay Head (Aquinnah) website. 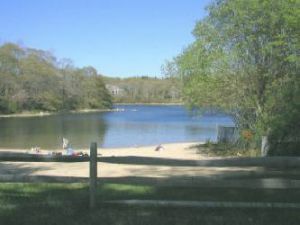 An up-island town, West Tisbury is home to many acres of State Forest, scenic beaches, and rich farm land. West Tisbury continues to retain much of the rural atmosphere and neighborly sense of community that are important parts of its history. Click here for the Town of West Tisbury website.